Please note that this update is cumulative and includes all previous updates. 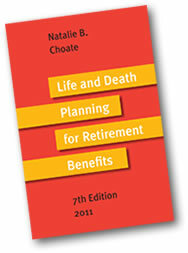 The 8th edition of Life and Death Planning for Retirement Benefits is available for preorder and is expected to ship in early December 2018. It includes all of the updates and much more.